You can contribute and help community to translate the plugin. Write us and we will give you account. 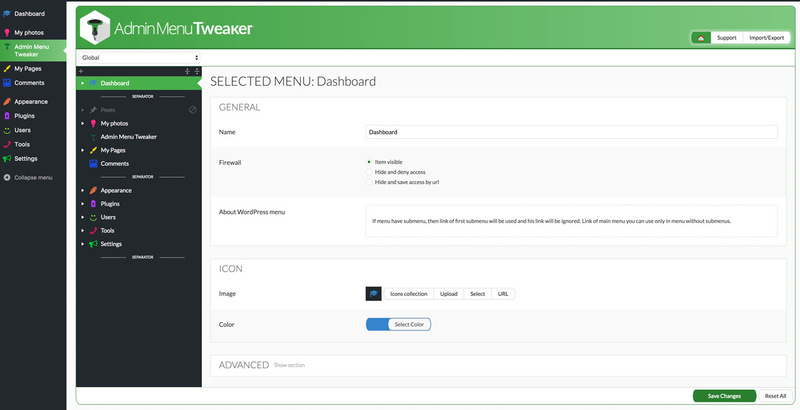 Admin Menu Tweaker allows you to re-order, hide and block menu items in your admin panel with the best usability. Also you can create new pages, change icons (4000+ included in plugin), make actions for all administrators but give access only for selected. Admin Menu Tweaker forever removes «plugin-hell» problem from your admin panel!